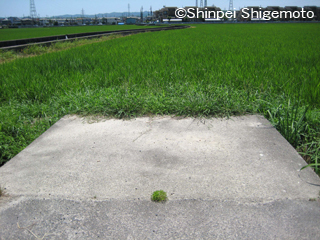 The place and it that gives the name is from shape to "machikusa" in a usual weed that grows on the road, etc. that have grown. "machikusameguri" that walks in the town searching for "machikusa" as a chance to know happiness and town of the road with the elementary school and the municipality around Shinpei waiting eczema doctor Shigemoto who designed "machikusa" in the ANEWAL Gallery is executed.